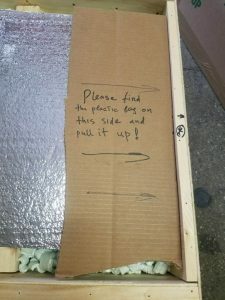 How to Crate and Ship Artwork Made of Paper? What do you know about paper art? This intricate form of art originated over a thousand years ago in Japan, and since then has been an integral part of human creativity. From book carving to complex paper cutting and multidimensional sculptures, paper art can be found today in many galleries and museums throughout the world, making it no less valuable than any other art form. Moreover, while some artists use simple materials, others combine paper with various unexpected mediums, creating true masterpieces that can adorn any home or collection. 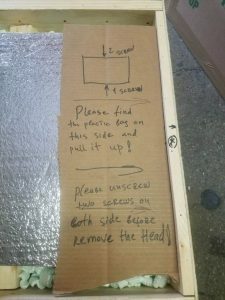 As a professional fine art shipping company in NYC, Fine Art Shippers frequently deals with paper art, and we know how important it is to properly crate and ship these items. After all, such works are extremely fragile and can be easily damaged during the move. To crate and ship artworks that are literally made out of paper is a pretty challenging task that requires certain experience and skills. This is particularly true when it comes to packing unique papier-mâché sculptures by a very talented French artist Marie Talalaeff. For example, not so long ago, Fine Art Shippers was entrusted to crate and ship this amazing Sheep sculpture that looks like a modern trophy. It was sold via our reliable partner and friend, Clic Gallery, which has long been a must-visit destination in NYC for contemporary art, creative home décor, and hand-made accessories of any kind. 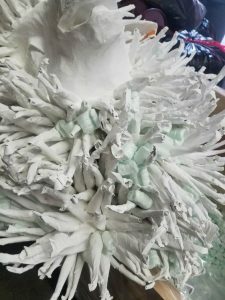 Marie Talalaeff is known for her many fantastic works created from paper both in white, like this beautiful Sheep sculpture, and in color. Moreover, since the artist’s subjects are always animals, works made in color are actually so much realistic that they are bordering on taxidermy. 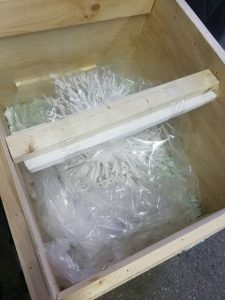 It was an honor for Fine Art Shippers to crate and ship one of Marie Talalaeff’s unique sculptures at the request of Clic Gallery. 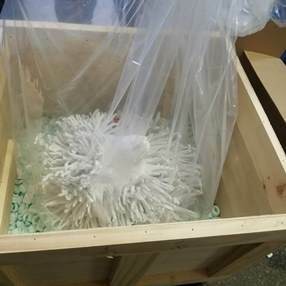 The delicate artwork was properly packed and crated using the right materials to prepare it for the safe and secure transportation to its new home. At Fine Art Shippers, we offer a full range of art packing and crating services to meet any need. Moreover, we can crate and ship literally any artwork, be it a very fragile Marie Talalaeff’s sculpture or a large metal statue. Whatever your shipping needs, do not hesitate to contact our dedicated team of art shippers! Besides, you will be pleased to know that all our services are affordable, so feel free to request a shipping quote right now!